The new Arrington Performance S/E Catch can provides the same first stage filtration as the Arrington Performance HEMI Air Oil Separator but removes the second stage filter to provide a more compact and economical design to customers who want to add a second catch can to their high horsepower racing HEMI or a first catch can to their mostly stock HEMI powered vehicle. 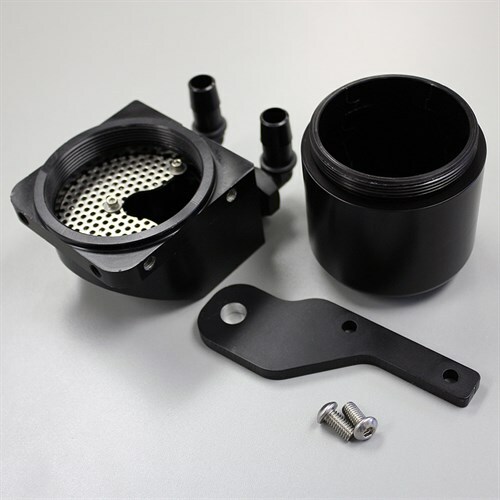 This catch can provides a solution that still packs the engineering and design of Arrington's Signature air oil separator to customers who do not require a second stage vapor filter. Continuing the tradition that all catch cans are not all created equal, the Arrington Performance S/E catch can includes the design and engineering of Arrington's patent pending catch can in an affordable single stage filtration system. 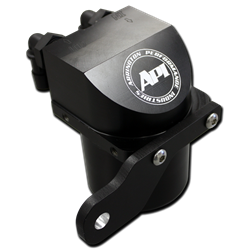 The Arrington S/E Catch Can was engineered to be functional for mild bolt on performance mods without adding the expense of a second stage breather system. Our unique spiral internal filter forces all the air to flow through all of the stainless filter media eliminating the opportunity for large particles of oil to escape into your intake system. Like the Signature series separators the S/E catch can maintains a larger flow path than other catch cans on the market that have smaller flow paths than the HEMI's PCV system hose. We ran the numbers and proved that these restrictions can lead to pressure building in the crankcase, so we super-sized our fittings to 1/2" NPT meaning our catch can is still the only one on the market that can support a full obstruction free 5/8" flow path. No Problem! We have several mounting solutions available and are always adding more. Call a sales rep for details on additional fitments or bulk catch can orders. 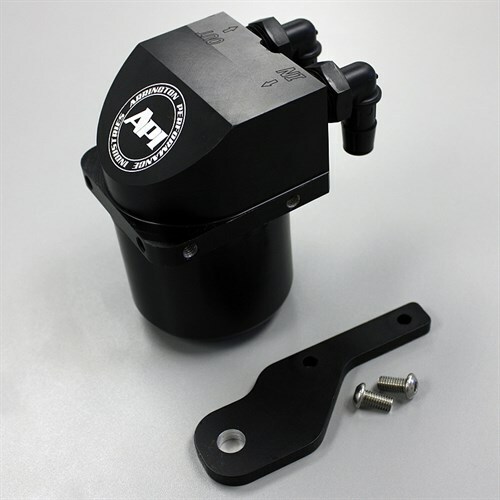 NOTE : Installation in the standard mounting position on 5.7 HEMI equipped Vehicles will require modification or removal of the engine cover or custom mounting location. Works PERFECT, a must have quality product from Arrington. Only need to empty @ 3000 mi with oil change. Perfect ! Don't buy this for a 2011 up 6.4L Hemi, Arrington doesn't send the right fittings for this application. The only answer I got from them is they don't have the 90 degree fittings you see in their picture and that they are sorry!